In a bid to attract and retain new customers, businesses like financial institutions, restaurants, and online eCommerce shops have brought forth personalization as a way to make customers feel valued. When this is combined with convenience, responsiveness, and immediate access, customer experience and satisfaction spikes. Now, consumers are expecting the same from healthcare solutions, and what the healthcare industry is learning is that when patients do not feel satisfied, whether this is because they don’t think their healthcare provider values them or is focused on improving their health, they will change providers. So, what can healthcare providers do to create better, value-based patient care that will provide an excellent consumer experience? Integrate smart technology so that patients have access to convenient patient care services. Unfortunately, about fifteen percent of the world’s population has some form of a disability and approximately 110 to 190 million adults suffer from significant impairments according to the World Health Organization Impairments with one’s ability to climb stairs, walk, or carry things causes mobility challenges that present as a barrier to obtaining preventative medical care. Why? Medical buildings are not equipped to take on those with these type of disabilities, whether that be because there’s not enough ramps or elevators or because too much walking is involved through the halls. It doesn’t get much better for those with chronic conditions either, as walk-in clinics don’t always have the quality of care needed to deal with the problem and getting referrals to specialists is an immensely difficult process. Beyond this, postoperative patients also experience poor customer service via healthcare facilities poor communication tools, as getting 24-hour access to medical care for complications like increased pain and fever, is not available in most cases. To tackle these problems, healthcare facilities are creating strategies through smart technology innovation to address the issues.
. Patients can use telemedicine mobile applications to access their care from anywhere in the world, from any device that they have available. It enables patients to have virtual follow-up appointments and provides immediate access to care for patients who have disabilities or chronic conditions, which means fewer missed appointments and happier patients. Beyond this, telemedicine applications allow the individual to stay with their physician even if they move house, access medical advice for minor symptoms, and access medical aid when traveling. By equipping patient care facilities with telemedicine applications, the barriers to healthcare access are reduced. 2. Remote Monitoring Systems Are Becoming Vital. The use of IoT based vital monitoring systems that are remotely controlled allows healthcare providers to monitor a patient’s health around the clock, including important vitals like blood pressure, pulse, and temperature. These can be used to notify healthcare caregivers when a patient falls, has a condition that worsens, are at risk for heart attack and stroke, or are in need of a new hip replacement. These IoT based healthcare solutions can be automated to send the information to a patient’s mobile phone or transmit the data to healthcare providers who can make informed medical decisions based on real-time data. 3. Robots Are Being Used to Assist the Elderly. Seniors who want to stay independent for longer can use robots to assist them in household cleaning, mitigate the risks of falling, and even bring medications from another room. 4. HIPAA Compliant Messaging Platforms Are Being Created. Healthcare providers are not allowed to use instant messaging applications like Telegram and Whatsapp as these are not compliant with the Health Insurance Portability and Accountability Act. 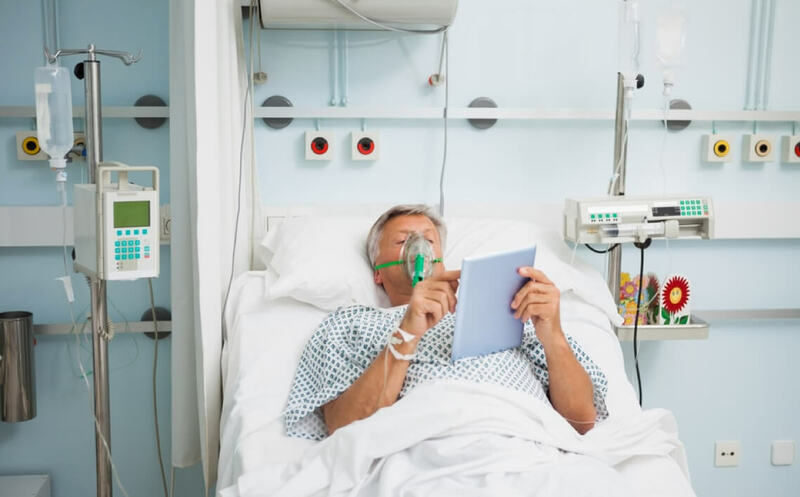 Modern vendors are taking note though and developing a new generation of instant messaging tools that are compliant, allowing patients and healthcare providers to converse in real-time. 5. Patient Portals Are Allowing Access to Health Data. Online portals that are connected to electronic health records are giving patients access to their data, including discharge summaries, immunization and vaccination histories, allergy lists, laboratory results, and even physician notes. These can be downloaded and shared with other healthcare providers as needed. It is without a doubt that wait times in patient care centers are too long, with patients sitting for hours in reception areas just to be seen. During these waits, patient conditions can deteriorate, causing them to need more complex care at higher costs. Beyond this, waiting to have an appointment schedule is frustrating when one’s health is at risk. 1. Appointment Booking Systems Are Being Created. Having to phone in and wait on hold just to book an appointment is a frustrating experience for many. Smart technology applications like ZocDoc and Qless are increasing customer experience by allowing patients to book online, change their booking online and cancel their appointments online. 2. Consent Forms Are Going Digital. By having online consent forms digitized, patients don’t have as much tedious paperwork to sign and they can be released sooner from care. These forms can be loaded right into the patient’s charts once submitted before an appointment. 3. Healthcare Providers Can Alert Patients on Delays. Patients are better able to adjust their arrival times for appointments and waiting times in the reception room if they are aware of doctor delays. Notifications systems that integrate into electronic health records can notify patients if their doctor is behind schedule. 4. Adding More to Services to Reception Areas. One way of increasing the patient experience in waiting rooms is by equipping each reception area with a tablet that allows the patient to complete satisfaction surveys, access online portals, provide feedback, update their contact information, or access things like consent forms and healthcare content. Those who have access to more information are far more likely to book future appointments and follow through on treatment plans. Reaching out and getting healthcare is stressful enough but getting hung up on the bill when it far exceeds what the expectation was going in, is incredibly frustrating for patients. So much so, that some patients will not get medical care unless they know what the prices are for patient care services up front and center. Not only can pre-appointment messages inform patients about their upcoming appointment details, but they can also inform patients about their insurance co-pay details, co-pay obligations, deductibles, and the pricing of services. This makes the check-in process a whole lot smoother. 2. Healthcare Facilities Can provide Online Cost Estimations. In providing patients with access to an online estimation tool for costs, a patient can garner a more detailed understanding of the breakdown of costs associated with specific procedures, including how much each specialist costs and what is covered by insurance plans. When it comes to improving patient care, smart technologies like IOT in Healthcare, Patient Care can go a long way in fostering loyalty, establishing long-lasting relationships with patients, and ultimately improving overall patient satisfaction and experience. Using the above strategies can not only increase your reputation as a healthcare facility but it can help you outperform your current benchmarks and retain your patients.